This novel is definitely not for the faint-hearted. With every page, you will find yourself in a journey together with the characters. You may or you may not like every scene but nonetheless, it is the kind of adventure one would want to be in. In this Bob’s creation, you will witness an incredible transformation of characters and how one or the other, accepted every challenge thrown in his or her way; from the depths of despair to figuring ones way through hell and then the acceptance of ones fate. This is one epic action-packed tale which we will find a lesson about redemption; which will take us to the heights of victory. 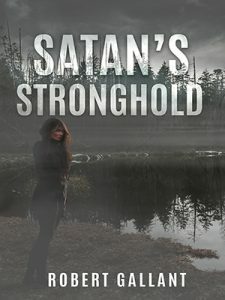 These are two strong points from Satan’s Stronghold which will leave you thinking, “If I were to relate this in a real life situation, will I be able to make it?” or “Am I as strong as this character depicted in this novel”? Out of the two main protagonists in this novel, I believe the author would want to highlight that regardless of your gender, you can be a magnificent beast if you want to become one - and that is how Chesney Barrett is. From a regular Environmental Research graduate student to becoming an undercover agent who definitely excelled being one. Do not forget as well to pay attention to her backstory and what she had gone through that contributed to the woman she is in the story. Chesney’s transformation is absolutely one to watch out for! However, no matter how strong a woman is, she will still show some weak points and that is her admiration and fascination to the leader of this undercover agency - Travis Weld. He is the man who has recruited her and helped her know herself better. From working together for a certain amount of time, they have established this extraordinary kind of relationship, that not everyone may understand. Be ready to exercise your mind and accept that there are different types of reality and in this novel, the reality is: Deception is the norm and Seduction is a weapon. If you don’t instill these in your mind and value these words, you may not come out alive.After all, you only have one option and that is to finish first. Join Chesney and Travis as they show-off their skills together in capturing the illegal drug dealers and manufacturer(s) hidden behind the swaps of Atchafalaya.